Made from a high-quality aluminium they are irridium plated for improved electrical conductivity and anodised for a tougher surface finish and form the basis of any sub-rack. Each Rail has 1 x M5 tapped hole at each end. 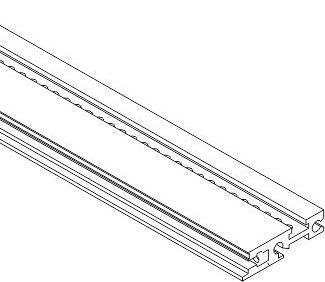 Rails have a slot towards the front to accept our Tapped Strips or Rack Nuts which must be purchased separately.